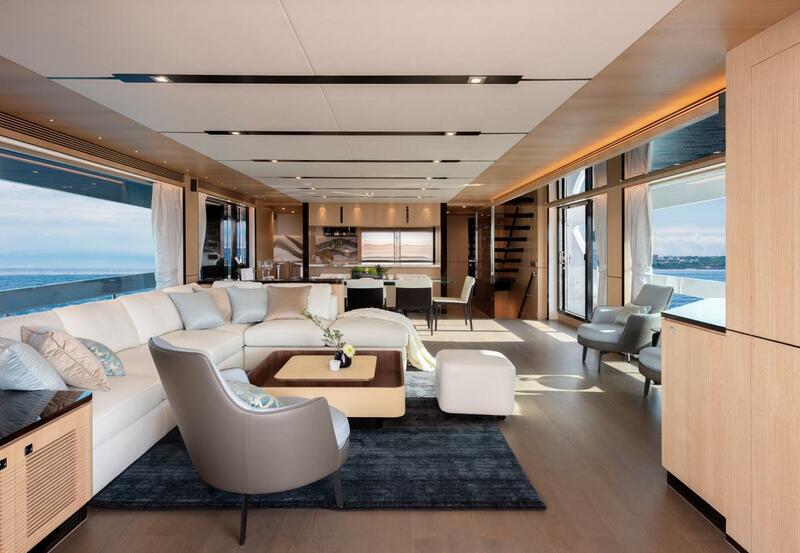 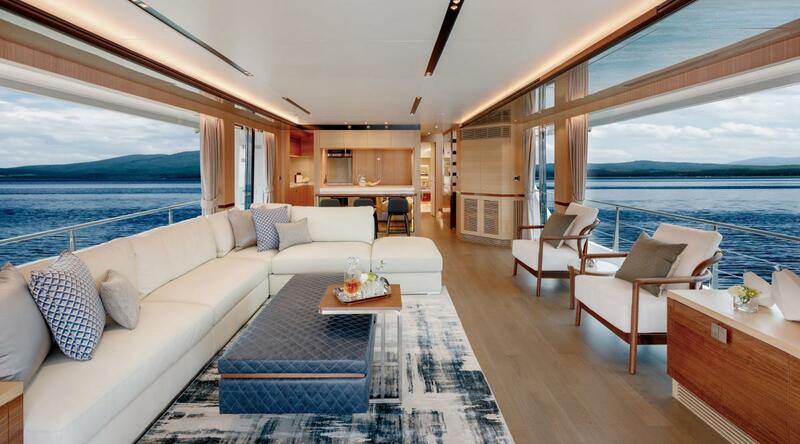 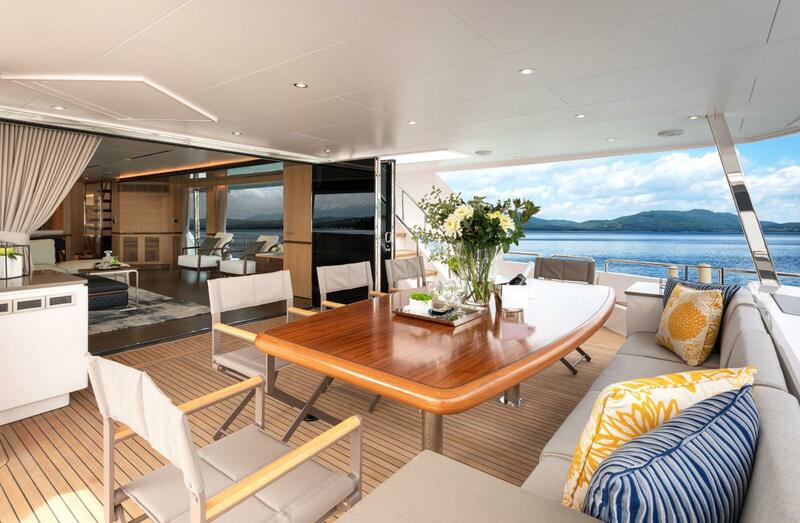 To debut new models as frequently as Horizon Yachts has in the last two years is no small feat, but the yard continues to innovate with inspired designs for its eight distinct series of luxury motor yachts. 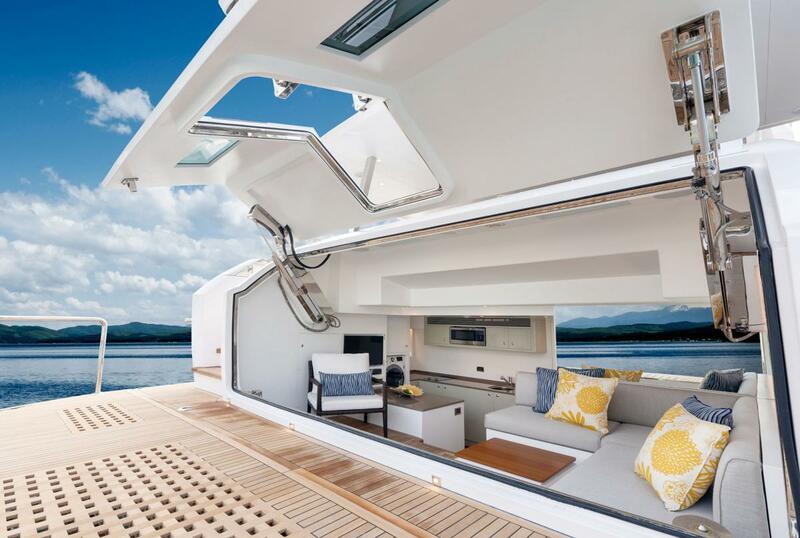 Yet another model — the new FD77 —will be unveiled at the Palm Beach International Boat Show, March 28 – 31, 2019. 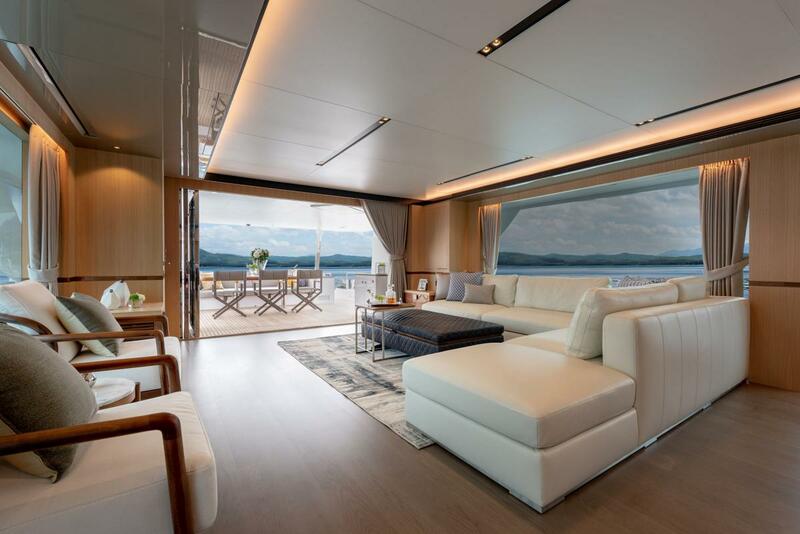 This latest in the FD Series joins an impressive lineup that includes the new FD87, E88 and V68 motor yachts as well as the new PC65 and PC52 from the Power Catamaran Series. 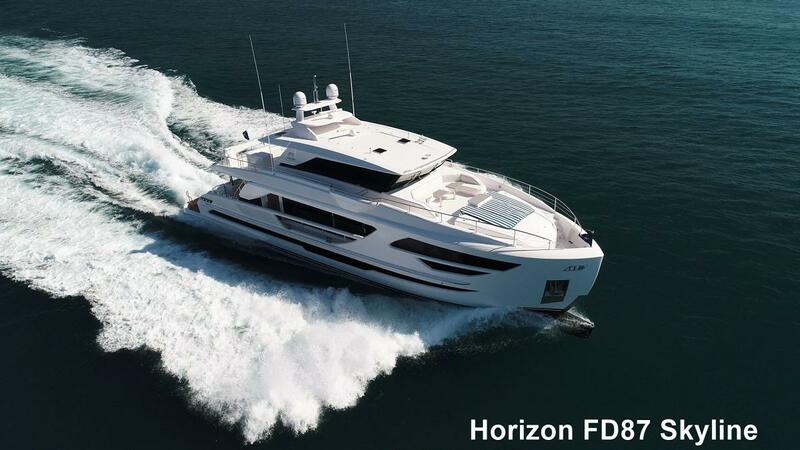 This first FD77 showcases a spacious open bridge with a fixed windshield, while an enclosed (Skyline) version is an alternate option. 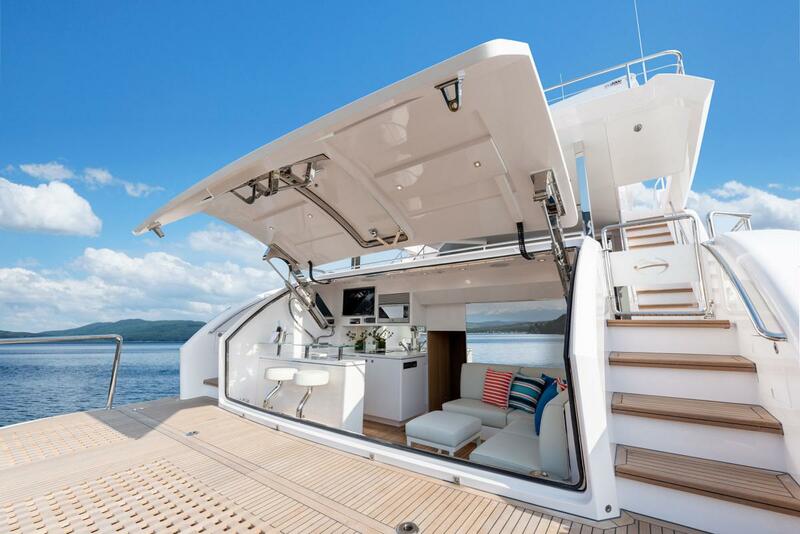 A walkaround deck leads to the side wingstations and forward seating area on the bow. 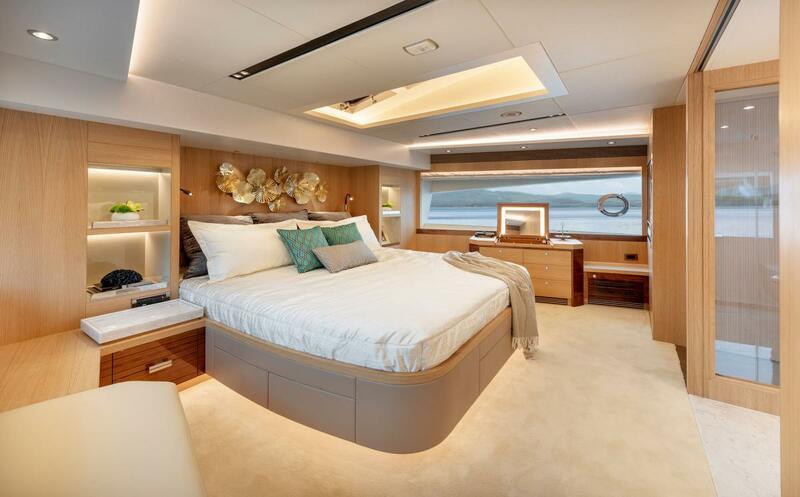 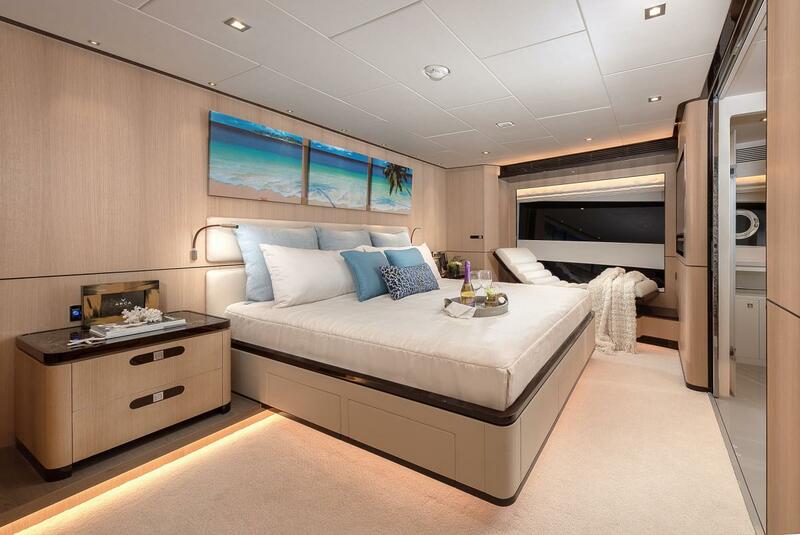 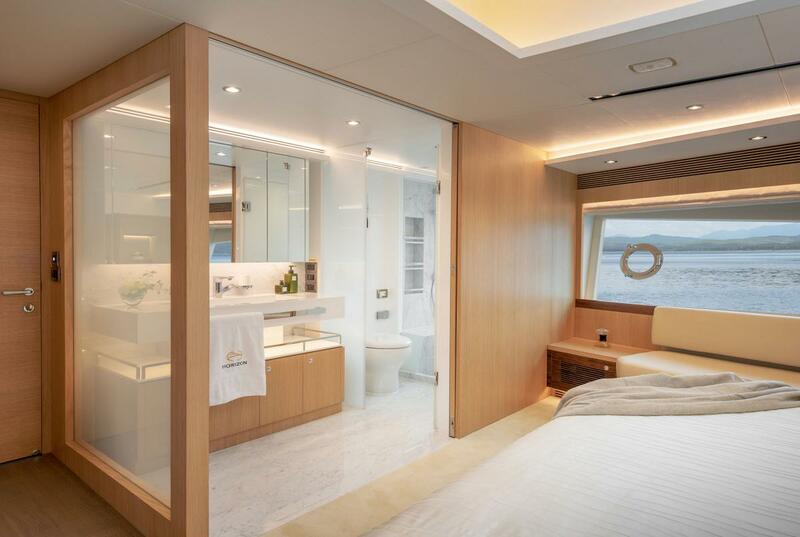 Offering a spacious on-deck master stateroom with full walk-in closet, sofa, desk and storage, the FD77 offers three additional ensuite staterooms on the lower deck comprised of VIPs forward and to port as well as a twin that converts to a double. 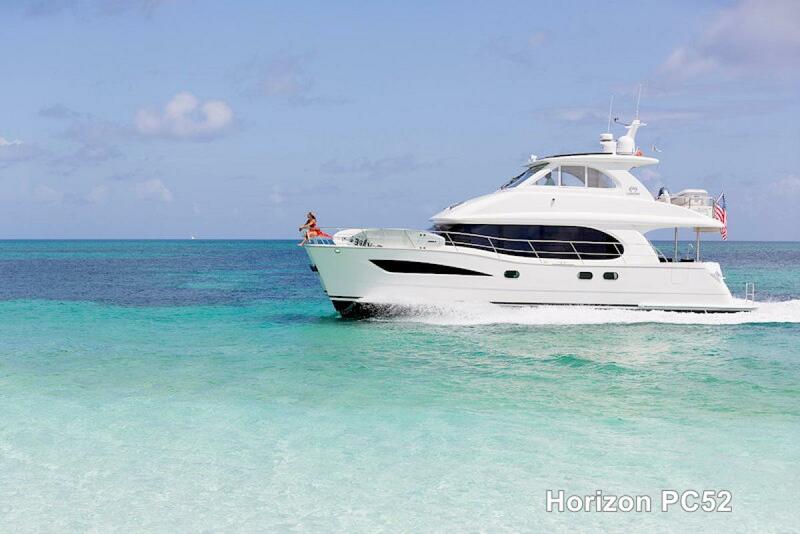 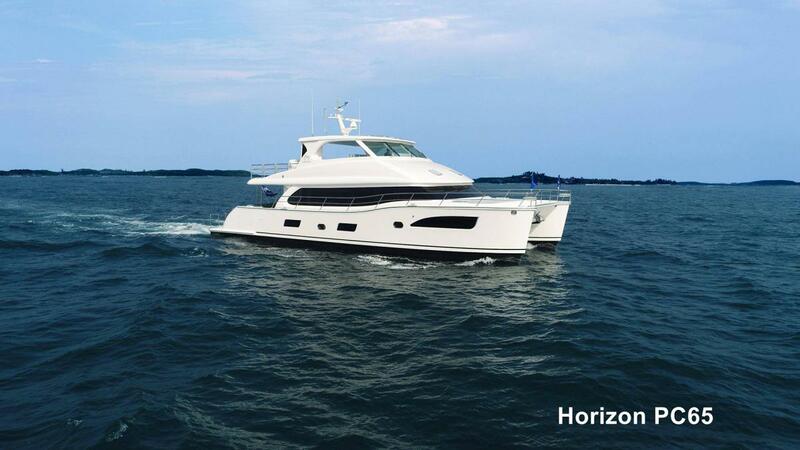 The Horizon Power Catamaran display will showcase the second hull of the new PC65 model. 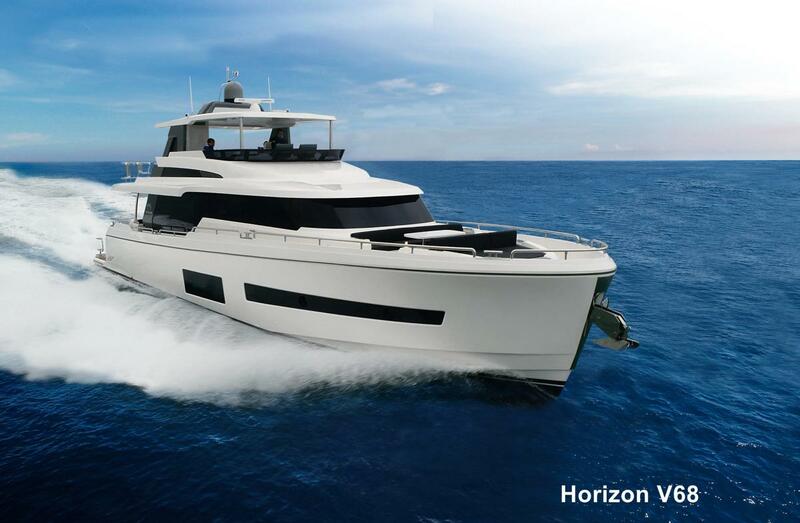 The PC65’s advanced hull design is the culmination of decades of catamaran hull development, tank testing and CFD analysis. 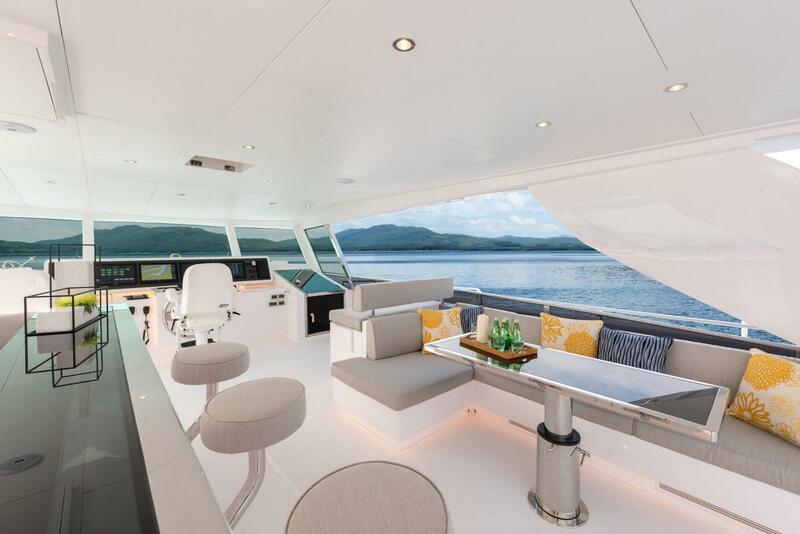 The versatility of the PC65 will appeal to the seasoned yachtsman and is available in either Open Flybridge or Skylounge versions with several layout and custom interior options. 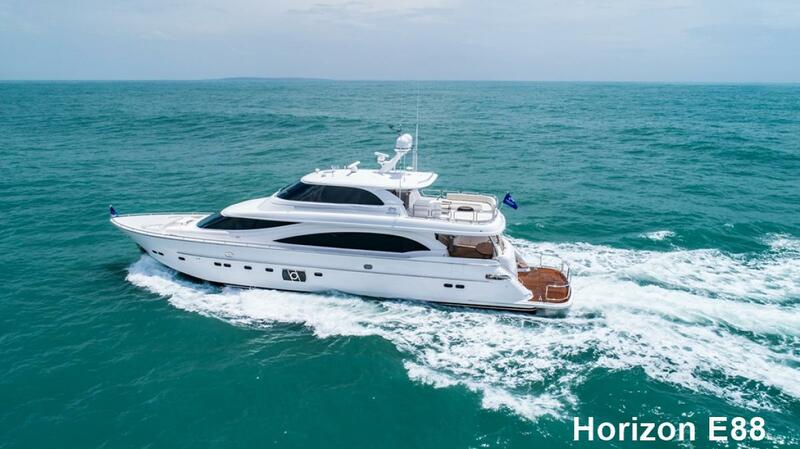 Powered by twin CAT C12-9 diesels, this PC65 boasts an impressive top speed and excellent stability, thanks to her optimized hull form. 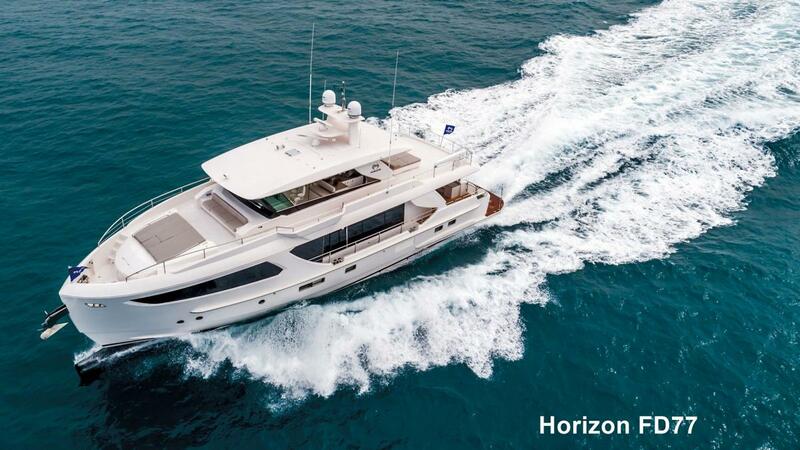 To schedule an in-person viewing of these fine luxury Horizon yachts at the Palm Beach International Yacht Show, please contact us at 561-721-4850 or sales@horizonyachtusa.com.